This is sort of odd because it is math based on math help. 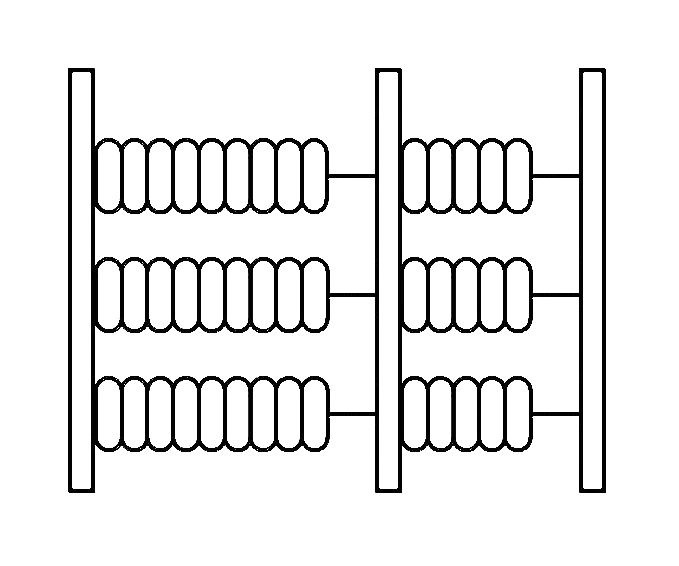 I am trying to make an abacus and need help with moving the beads. And for some reason I am not getting the right equation for the Month bead. What am I missing? Not seeing any maths to respond to .. and not sure exactly what you are trying to achieve. I want to have six "seconds" beads that are going to be stacked. I want them to move up one at a time, like on an Abacus, and stay up until 60 seconds. As for the month bead, I moved it out so you can see. Not sure but maybe this tutorial might be helpful.. Specifically tying the beads to 60 seconds and moving them. Sorry, I will get back to this ..
yeah that is the overall look I am going for. didn't know if I should put the upper group in or not, some people dond't know how to read one of those things. It's one of those, do I dumb it down or not. But I am also wanting to add the calendar in as well so needing the space to fit it in. Thanks for the help. Because there always 9 (or 5) beads, the same effect could be achieved with modify the X-position instead. Do you mind if I look at the code? I think you gave me an idea on the new watch, but will still need the math. And for the person who still counts on their fingers: $(#Ds#%10)!=9?100:0$ I understand the ?100:0 but the $(#Ds#%10)!=9 portion, what the what? '%' is the mod (or modulo) symbol and means 'remainder if divided by', which is the opposite of floor(#Ds#/10), and gives you the seconds (or first digit). With the new logic for both black and white beads, and I edited the frame to fix spacing and remove background. Wow that looks great. Have you tried it on Mon Jun 1? It only accesses #Ds#, and the minutes to display MM:SS .. But, you have me intrugued.